We were very blessed today at the Berean office. 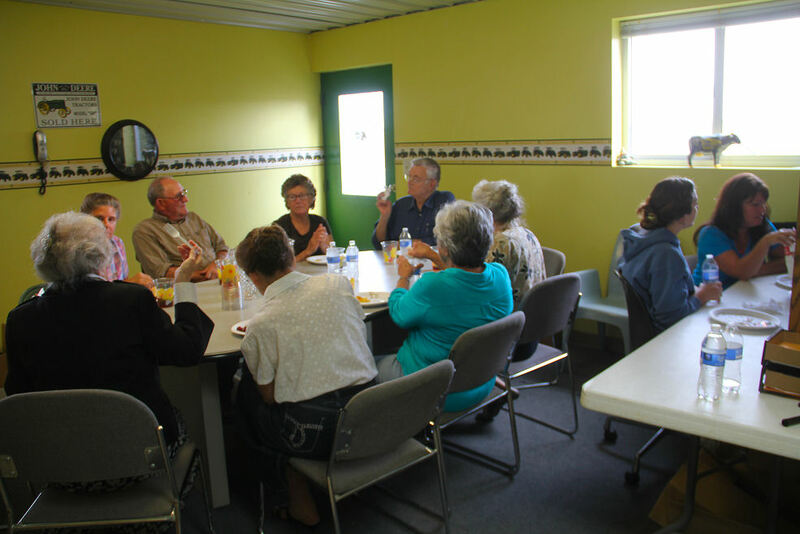 Wayne and Lukie Unsicker provided our lunch for the Thursday group of volunteers. 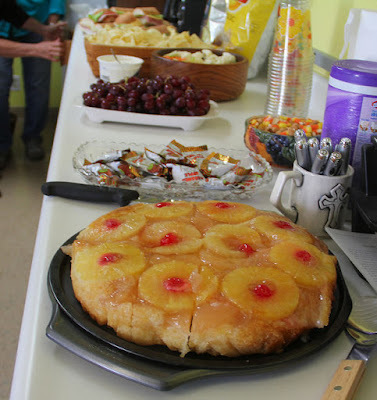 The volunteers had to work hard first though before the treat. 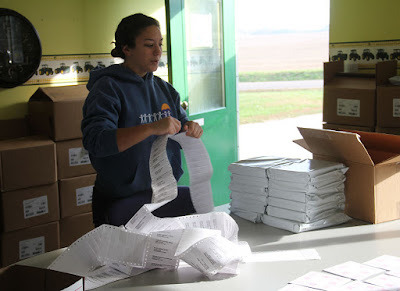 Those Bibles the Lighthouse kids wrapped on Tuesday were labeled and mailed out today. We were able to get all the studies processed, the letters processed and the Bibles labeled, stamped and loaded into the car by 11:00 am giving us about 45 minutes to fold studies and fill boxes. Below are a few pictures of the day. Below Janelle is applying the address labels to each Bible. 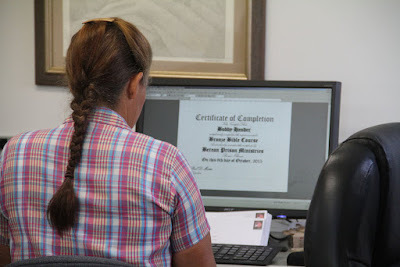 Diane is working on the certificates. Each week there are between 20 and 30 prisoners finishing all 50 lessons of the basic Bible study and those that finish are sent a certificate. Below is our delicious lunch. As a special treat for dessert, Wayne made the pineapple upside down cake out on his grill. That was served with ice cream. The lunch was delicious but honestly the fellowship is even better. We sure do enjoy each others company. It is hard to get back to work after enjoying our time of breaking bread. 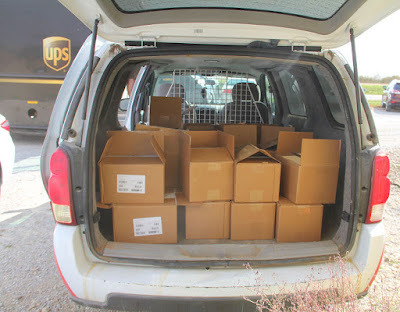 Below is Mark's van which was being stuffed with Bibles. The UPS truck had just arrived to pick up the boxes of Bibles we ship out directly to chaplains in prisons and jails across the United States. Diane came to the post office with me to help unload the Bibles. When we finished getting the last box loaded we both gave a sigh of relief. We survived another week!